Imagine your home flooding or having damage due to moisture. Now you have to repair it and you are going to be displaced the entire time the repairs are happening. While the repairs are covered by your excellent home owner’s insurance policy, at least the majority of them, you are now majorly inconvenienced and put out on a limb for weeks or perhaps several months until repairs are made. If this is damage to a commercial building, you can be losing money during the process, and that’s even worse! Yet, had you just considered waterproofing the residence or commercial property before moving in and using the location, you would have been far better off and not dealing with costly repairs. Leave no questions unanswered: waterproofing professionals are happy to help you work out your moisture management and will provide you with all the information you need in a comprehensive report. The document will contain details about what the professionals must do in order to ensure that there is no water going to the structure while it is under construction. The report also includes details on how to deal with emergency floods and potential home damage. The plan we develop to help control the moisture entering the home also includes the use of infrared cameras during the various phases of the building process – this lets individuals know if any pockets of moisture have suddenly developed or if the structure features any areas one should be concerned about in the future. The cameras can also provide information relating to the general success of remediation. 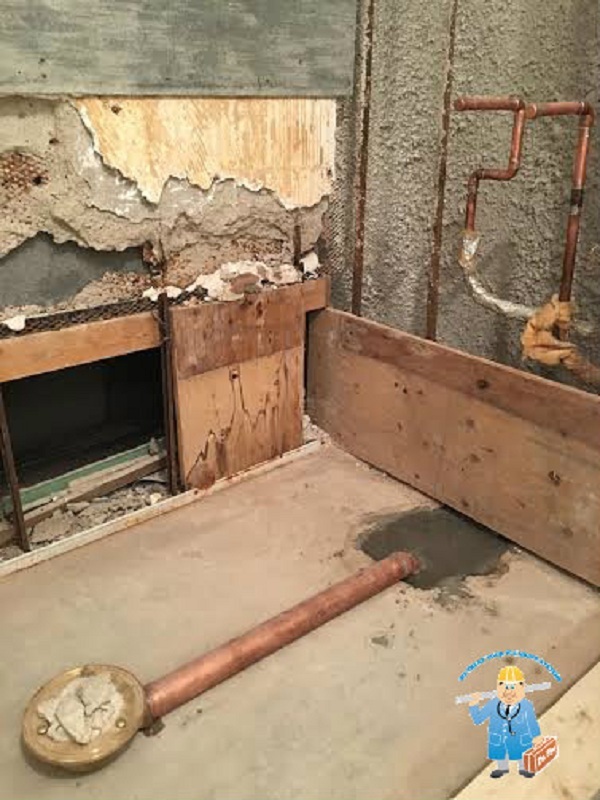 Following the completion of the building’s construction, the plumbing professionals will examine the building one more time, and the home is reviewed for any plumbing, fire, or mechanical system issues so that we ensure everything remains perfectly dry and moisture-free. We give you a full report documenting the fact that you should have nothing to worry about concerning accidental water damage. You should store the document for your records. If you are now ready to participate in the waterproofing process at your home or business, call your Dr. Pipe Drain and Plumbing Services professionals today! They will be able to walk you through the entire process. If you are a pet owner, you might actually be surprised that your pet can have an impact on your plumbing system. What’s more, your plumbing system may actually have an effect on your pets. It is not something many pet owners consider, but it is wise to do so because it can mean the correct operation of your plumbing system and the health of your pet. If your pet is caged and small, keep drains covered on the lower level floor. If you bathe your pet in your bathtub or sink, having pressure-balancing valves can protect your pet from accidental exposure to scalding hot water. It also illuminates the issue where the water turns scalding hot when you are in the shower and someone flushes the toilet or turns on the water in the sink. There is more than one reason to keep the lid down on the toilet if you are a pet owner. We already know that, for women in particular, getting up in the middle of the night to use the bathroom and to not realize the seat is up, well, it is a formula for some serious frustration. However, leaving the lid up all day will allow pets to get into the toilet water too, and if you use harsh chemicals and cleaners in the toilet, it can get your beloved pet sick. Doing so allows you to keep pet hair from clogging up the drain after you bathe your beloved pet. The only thing that should go down a toilet when you flush it is toilet paper and flushable waste. Cat litter is not considered flushable waste. If you have one or more dogs that love digging holes and burying bones, keep an eye on where they are digging and how deep they dig. Some pipes are underground a mere foot and a half. If you did not implement these tips yet and you are dealing with a resulting clog, you can call the professionals at Dr. Pipe Drain and Plumbing. They will be happy to assist you when you need your drain unclogged or need other plumbing advice/assistance. Nothing lasts forever, including our sewers. Even with regular maintenance, our sewer is not going to last an eternity. You do not want your sewers to get to the point where you are looking at some major expenses just to get them working again, or might even face problems with possible home damage. That is why we have come up with the following signs that your sewers need to be replaced. When you turn off your shower or flush your toilet, you might notice that the water takes a far longer time to go down the drain. This means that the issue might be the sewer line. The smooth flow of the water going down can become interrupted because of a blockage in the line. This can cause damage to your home and lead to sewage back up. If your home smells like a sewer, chances are that there is a problem with your sewage lines. The odor is going to permeate throughout the home if the sewage is not draining properly. It is going to become almost impossible to live in your home if you have the constant smell of raw sewage in your home. It might be time to change the sewer line if you notice that even a traditional cleaning does nothing to remedy the problem. You might notice some flooding around the toilet area and shower area, which might indicate sewer line backup. The water is going to leak from actual appliances rather than just flowing away like it is supposed to do. If you notice that this is a constant problem, it is a good idea to call in the professionals immediately. Especially because a sewage back up could lead to a difficult issue where your house takes serious damage. You might have actual damage to your home if the sewage starts to back up and floods your property. There might be foundation cracks on the walls or mold on spots that were wet from a leak. If you notice these problems, you should not hesitate for a moment. It might sound like an investment and a lot of work to get your sewers replaced, but the truth is that you do not really have an alternative option available. No one wants to deal with the aftermath of raw sewage seeping into his or her home. If you want your sewage lines inspected and have someone determine what if anything you need to do, call the professionals at Dr. Pipe Drain and Plumbing Services. It might be tempting to rely on a professional plumber whenever you need something plumbing related. However, there are some plumbing jobs that you could very well do yourself. These are a handful of the different jobs that you are able to undertake yourself. You can install and replace a faucet pretty easily. In fact, it should not cost you a great deal of money or a great deal of time. You just need to make sure that you turn off the cold and warm water valves and remove the old faucet. You then replace the old faucet with the new one, and you are able to use your new faucet. If you have never replaced a faucet before, this might be a bit challenging to do. Fortunately, there are many online videos that will tell you exactly how to do it. Unless you need repairs or you have damaged valve connections, chances are that you do not need a professional to help you with most faucet installations. If you do not maintain your washing machine, chances that it could lead to serious issues down the road. If you consider the fact that a washing machine hose may burst if it is not maintained properly, and you consider that a burst hose can release upwards of 500 gallons of water each hour, you might begin to understand how important it is to replace your washing machine hose. Replacing the old hose is as simple as unplugging your washer, disconnecting the hose from the washer and valves, and attaching the hose to the valves again. Replacing your old hoses is going to help ensure that you do not have a leak in the laundry room any time soon. Sometimes the pieces of our toilet quit working altogether or simply become faulty. Oftentimes these problems are because of issues with clogs, chains, and seals, and are easy to fix by yourself. The replacement parts are often inexpensive, and you can often fix these without needing to ask for a professional’s help. If you are going to need to install an entire toilet, it might be time to call in the professionals though. 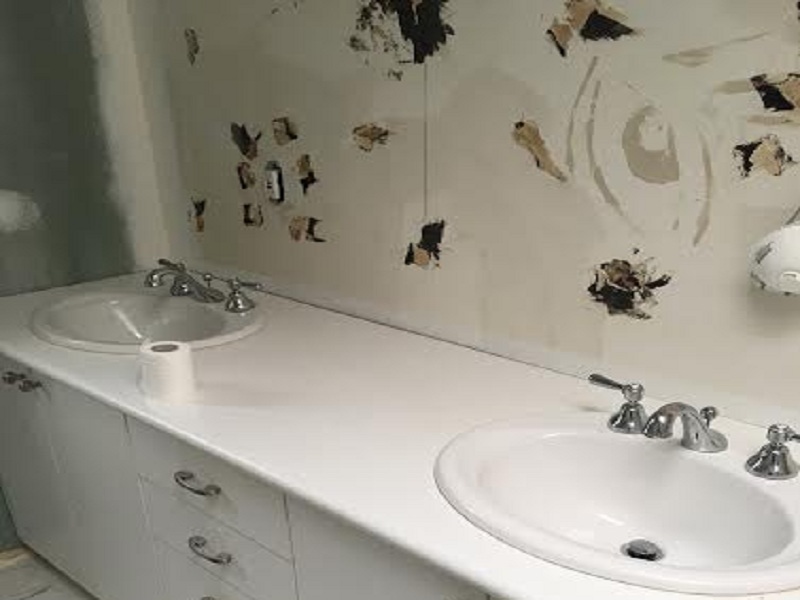 It is important to use good judgement when it comes to a good DIY plumbing project. DIY plumbing projects on a budget are certainly possible if you want to keep costs down and have experience handling these issues. Remember that sometimes, a plumbing project is more than just connecting one pipe to the next. The wrong plumbing solution can be extremely damaging to your property. While you can undoubtedly save some money, there is no substitute for a professional’s experience and expertise. This is why so many in the Toronto area rely on the professionals of Dr. Pipe Drain and Plumbing Services to help with their plumbing issues. Mold, water damage, flooding: That is just the beginning if you do not implement measures to waterproof your basement space or foundation. The latter three mentioned issues are the top cause for damage to property and homes in Canada, surpassing even the likes of fire. The water damage, mold and flooding are issues homes can face all year long too. If dealing with a new construction, a homeowner can monitor every stage to ensure everything goes right so there is little issue in the future when it comes to the home’s structural integrity. At first, the initial expense of waterproofing might be off-putting: A homeowner might not be so willing to pay the cost for the process. Yet, if you were to compare the cost of waterproofing with the significant costs you would pay if you were to end up with mold, water damage, or flooding, you would see that the waterproofing option is definitely your best bet. Waterproofing is not a luxury, it is a necessity. Waterproofing the building’s interior is essential: This is because as the building is constructed the inside of the structure will remain open and exposed to the various elements – primarily wind and rain. Water can easily damage insulation, floors, wiring, frames, and the building’s foundation. If the materials you are using to build the structure a primarily steel and concrete the need for waterproofing is less of a demand, but still a wise investment. While steel rusts and extensive water exposure damages concrete, the real problem lies in the materials in the building that are made of wood. When wood is wet for extended periods it can warp, rot, and it becomes the perfect environment for mold growth. 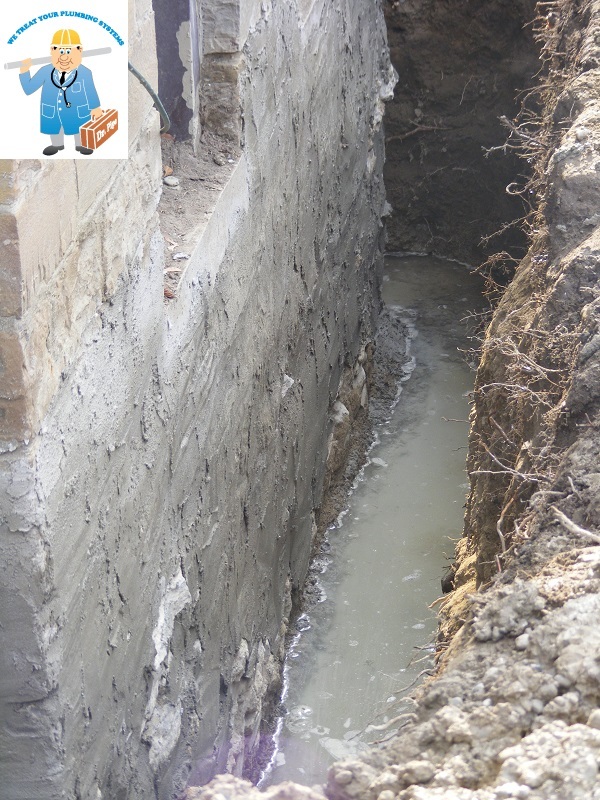 You can avoid any issues by waterproofing while you are constructing. You will benefit from protecting your investment from the start, and your materials will remain in pristine condition. Waterproofing can also help in preventing the need for material replacements or costly building delays, while at the same time, it can prevent you from facing any costly repairs. Before you panic from seeing the initial pricing of a waterproofing project, stop and look at the cost as an investment over the long term. You have to remember waterproofing is no luxury and helps you protect your investment both in the immediate and distant future. It is true that waterproofing may not be kind to your budget today, but the money you end of saving from taking just an ounce of prevention is well worth the purchase of waterproofing services now. Ever enter into a basement that smells musty and like mildew? Did you feel the damp, cold air? Could you see all the damage prior flooding had done to the concrete? The most vulnerable area of your home when it comes to flooding is the basement. Water that is in the soil can move through fissures and cracks in the foundation of the home, and flooding can happen with as little as a single rainfall, never mind what happens if you have a significant winter thaw! During the winter season, all the moisture in the freezes and it therefore causes the creation of more cracks due to the force brought about by the expansion of frozen water. Over the course of time, flooding can destroy your entire foundation. All of the latter damaging scenarios are avoidable if you opt for waterproofing during the initial construction. When you opt to waterproof the home, you can seal off cracks and this will minimize the entrance of moisture and water. You want to keep as much moisture out of the home while still allowing the home to have some permeability so accumulating humidity within the home can easily escape the structure. Achieving this delicate balance is best achieved during the initial design stages of the home and will prove less costly. Make sure to call the professionals at Dr. Pipe Drain and Plumbing Services if you want the best possible waterproofing option. Even though it sounds like a nuisance, a wet basement can be far more problematic than just being “inconvenient.” Especially if you have a finished living space in your basement, the moisture can damage your framing, drywall, or carpeting. Even if you only use your basement for storage, you can have a number of different issues with a wet basement. Condensation can show up as puddles, wet spots, or droplets on the basement walls and floors. This occurs when our cool foundation walls are exposed to moist, warm air. This makes the entire basement ‘clammy’ and uncomfortable. When it occurs in your crawl space, condensation can lead to insects and wood rot. It can delaminate and buckle plywood. Often just airing out the basement and running a fan can help cure most of the problems. It might also be a good idea to invest in a heavy-duty dehumidifier. Alternatively, using a waterproof coating to damp-proof the walls might also be a great investment. This is going to help clog the concrete pores, which helps alleviate issues with condensation. Melted snow or rainwater that is not routed away from the house is one of the common causes of crawl space and basement moisture. The runoff percolates through the topsoil, and stops near the base of the foundation. The pressure is going to force the water through cracks or gaps in the footings and walls. The best way to resolve this problem is by sealing basement walls and patching cracks in the foundation. It is essential to address the outside entry points. If you do not take steps to fix these cracks and leaks, chances are that problems are going to continue to develop. The truth is that a wet basement could be a one-time issue, but it could also be indicative of something far more serious than that. In fact, if you are not taking steps to fix these issues (and they continue to develop) what was once a clammy basement might become a far more serious issue down the road. If you are unsure that you have addressed the issue, and if you are not sure that the problem is resolved in the long term, it might be a good idea to call in the professionals at Dr. Pipe Drain and Plumbing Services. They will be able to accurately diagnose the issue and tell you whether the issue was a one-time problem or something that you should take more seriously. For the past few decades, a homeowner hearing that their water line needs to be replaced was one of the worst pieces of news to bear. After all, the main line is the source of not only a fresh supply of water to the home; it is what carries away gray water and waste to be cycled through the treatment plant. The repair or replacement of this crucial pipe usually required digging up most of the yard to reach the trench where the line was situated, removing all the damaged components and then replacing them with a replacement pipe – not exactly a labor-friendly task. Most homeowners could forget about curb appeal after they had their water line replaced. This was because gardens, sidewalks, and other landscape were mashed into mounds of dirt – all on the property owner’s dime as well. 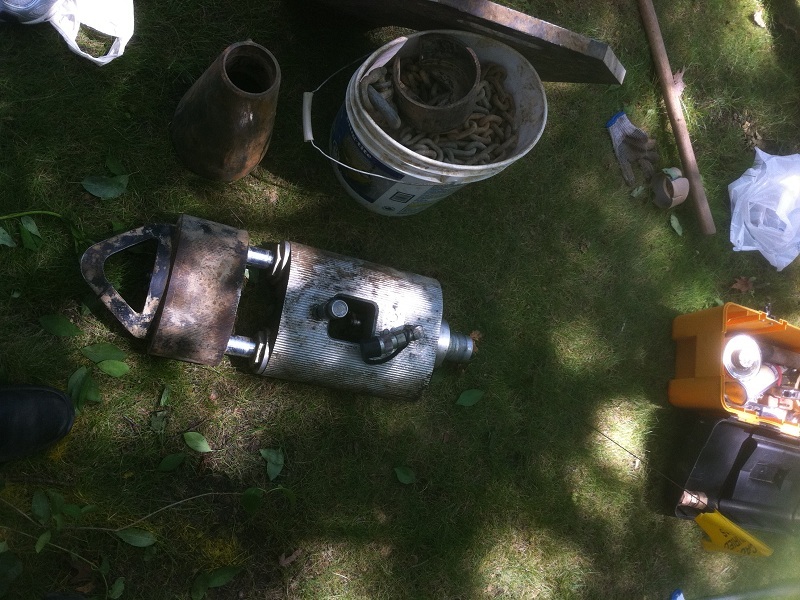 Luckily, modern technology has made these nightmares outdated and trenchless replacement methods have turned water line replacement into a non-invasive, one-afternoon job. Part of that new technology includes replacing deep set, damaged pipelines without excessive digging on the property. This not only keeps the yard intact, it also limits the risk of hitting underground gas, electrical, and phone lines. The no dig method involves an almost ‘inside-out- approach to installing the new line. What this basically entails is feeding a new, undamaged piece of pipe into the old one, and then into the water main where it enters your home. This new piece of pipe is pulled into place with the use of heavy hydraulics. Once the new line has been properly situated, the old pipe is shattered with a bursting cone that fragments it as the new line replaces the old one. Besides an entry point for the pipe and an exit point for the hydraulics to pull the pipe through, there is minimal digging involved. This process is fast, convenient, and is much more affordable due to less labor involved. Customers no longer have to look at a damaged water line as a financially crippling repair and instead can have the fixes done in a matter of a couple hours. The trenchless technologies also work in the case of sewer line replacement as well. While there are still many needs for a shovel, thanks to the trenchless technology, those resources can be better focused on a garden or planting azaleas. If you want help with your situation, the professionals at Dr. Pipe Drain and Plumbing Services have decades of experience and know when to step up. It is important to waterproof your basement for a number of different reasons. Pipe condensation, leaking windows, and cracks in the wall are the most common reasons that basements have issues with water build-up. You can experience a wide range of issues if you have too much or prolonged water retention. A few of the serious concerns that you may have to deal with include foundation damage, mold, and termites. Just another indicator that you may have to do something about your basement. Some ways of keeping your basement dry may appear to be rather obvious. You want good surface grading in your basement, which will help drain water away from the house. Keeping your wall cracks sealed and having proper exterior waterproofing are just two of the best initial ways that you can ensure that you waterproof your basement. Another common method that people use to keep their basement dry is the use of a sump pump. Even though some professionals only suggest that this might be a last resort, we believe that it can help with a number of other things. There are two different types of sump pump: the water-powered and the submersible. The submersible is more expensive, but these are placed underground and are electrically powered. A combination of the two is often better, because a submersible is far more quiet, but a water-powered sump pump can be used during power failure. It is also a good idea to opt for some basement-waterproofing systems. If you are at risk of extra water buildup or consistent water buildup, you might want to talk to a professional about the options. Sometimes the use of polyurethane spray or foam is recommended. This acts as a powerful sealant, and can help repair leaks and cracks around your basement windows and walls. Because the foam is extremely resistant to harsh weather conditions, the treatment can last upwards of a decade or even longer. If you want professional assistance, it is highly recommended that you try to work with professional plumbing experts who are able to help with the situation. Professional plumbers have seen and done it all, meaning that they are able to help identify potential problems before they become actual problems. If you want professional advice from waterproofing experts, call Dr. Pipe Drain and Plumbing Services today. They can help you narrow down the options that make sense for you. This ensures that your basement is dry for years to come. When it comes to water damage in your home, it is not necessarily the overall amount of rain that is the biggest contributor to the destruction. It is the level of rain that comes over a short period of time. Annual rainfall levels have dropped in Toronto on a yearly basis, although damage from water has increased – mostly because torrential downpours have increased alarmingly. In July 2013 for example, there was 90mm of rain that fell in an hour, an amount higher than average for the entire month. The changes in weather have prompted homeowners to alter, or at least ramp up, their strategies of how they protect their property. The Toronto government has championed the cause as well by easing some of the financial strain on homeowners by providing subsidies for the installation or replacement of a sump pump. The City of Toronto has begun offering residents up to $3,400 per property for the installation of flood protection devices. This amount is somewhat misleading because only up to $1,750 is eligible for sump pump related costs. Homeowners are also granted municipal rebates related to the installation and replacement of backwater valves as well as the cutting and capping of pipes connecting to city storm sewers. What is covered in sump pump eligibility? A sump pump and the corresponding components are an important installation, not only for protection against storms but also burst pipes, malfunctioning appliances, and other water damage in a basement or around a home’s foundation. 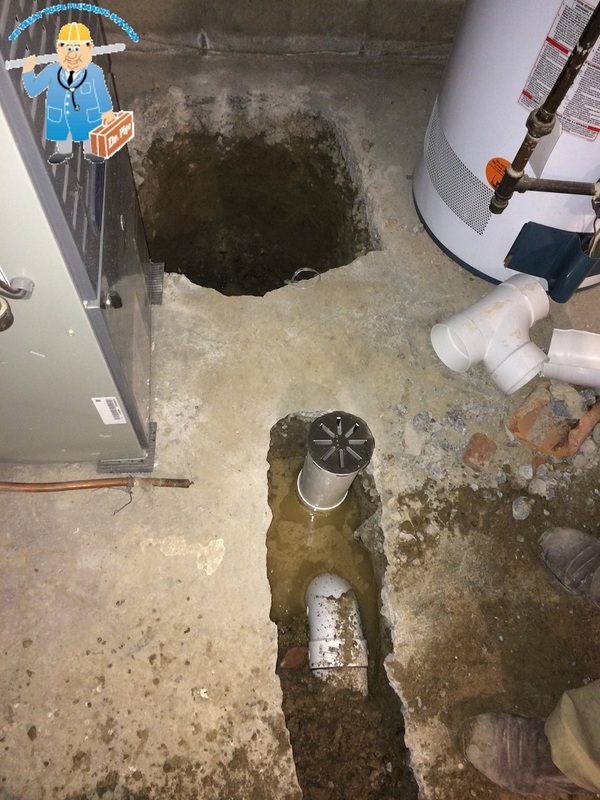 The City of Toronto’s subsidy covers the installation and replacement of the sump pump, the installation of a sump pump alarm, and the installation of emergency backup for the unit. It should be noted that the installation is not “free” per se. The government rebate covers 80% of the invoiced amount including labor, materials, permits, and taxes. The work must also be done by a licensed Toronto contractor and only the registered owner of the property (single family home, duplex, triplex) is eligible for the rebate. Because it needs to be done right, many homeowners rely on the professionals at Dr. Pipe Drain and Plumbing Services. Stipulations aside, the City of Toronto is not saying that the installation of a sump pump is mandatory – they are just saying if you do decide to put one in your property we will help you out proving that sometimes when it rains, it does not have to pour.